LED: CREE XHP35 HI LED with a lifespan of 20+ years of run time. Peak beam intensity: 140650 cd. Working temperature: -20℃ to 40℃. Single press the side switch to turn the flashlight on/off . Long press the side switch to get firefly mode. With the light turned on, long press the side switch to circle through Low, Medium and High. Double click from any mode to get to Turbo. Another double click to get to Strobe. The light will turn on in the last mode accessed, except for Firefly, Turbo and Strobe. 2A USB charging. When the indicator on the switch flashes red, it means the battery need to be changed or charged. During charging, the indicator is RED, and only firefly, low and medium modes are available. After the light is fully charged, the indicator light will turn to BLUE. The indicator will be off when it is firefly mode. Purple light means abnormal charging. Take off the tail cap, insert the battery with the anode (+) toward the LED assembly (head of the light), screw the tail on and tighten it all the way to operate the light. 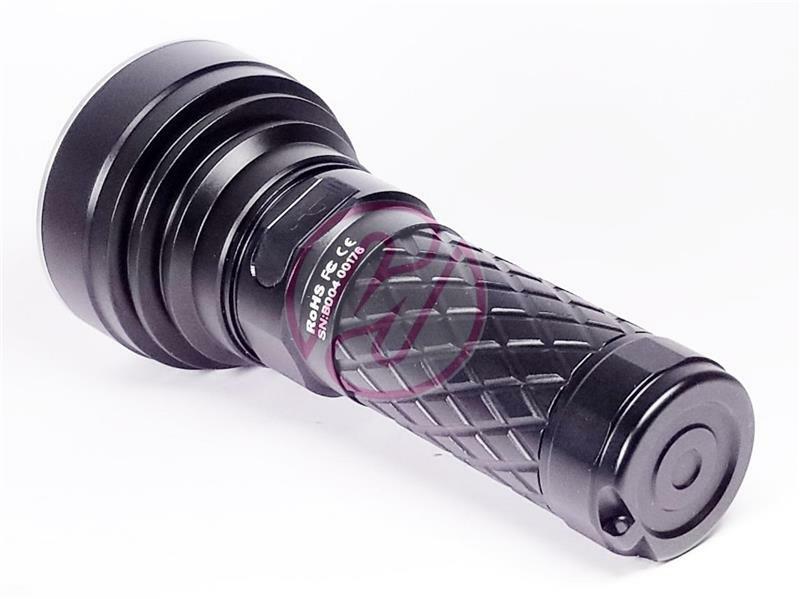 Adopts an advanced CREE XHP35 HI LED to give great light efficiency. 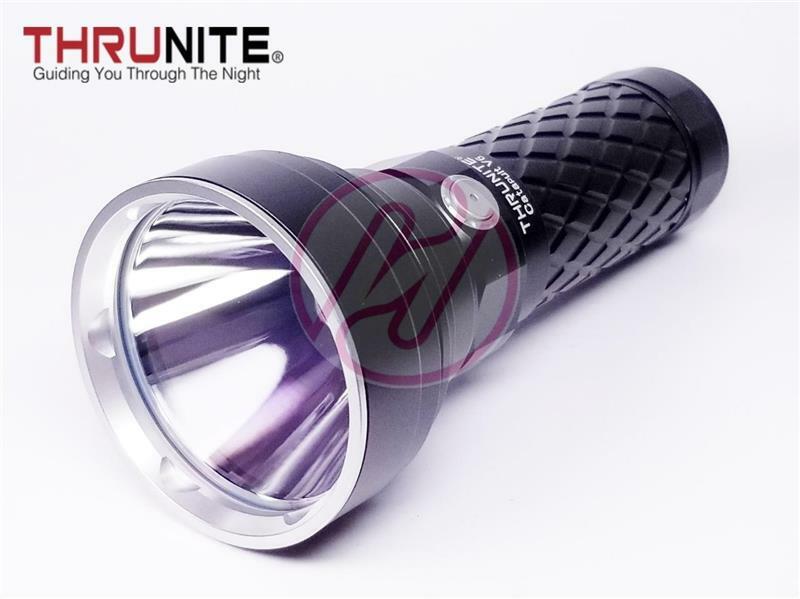 With the max output of 1700 lumens and max beam distance up to 750 meters. 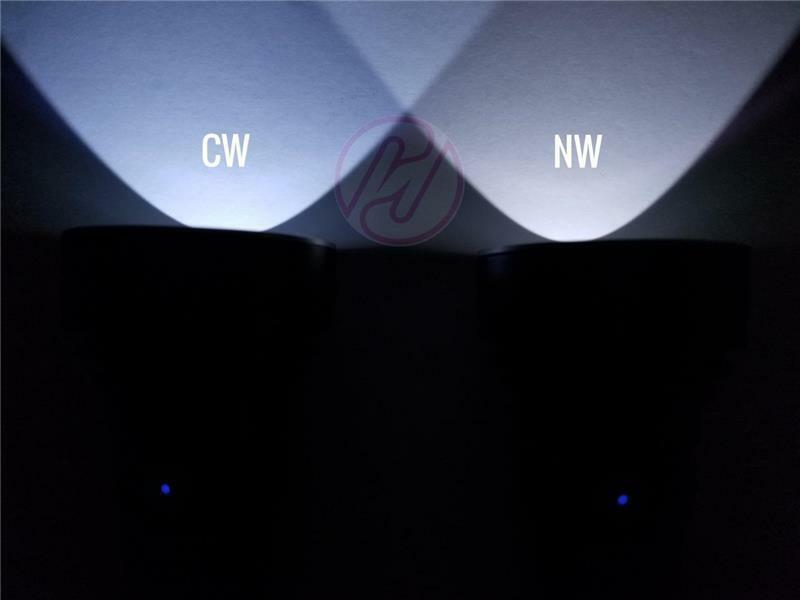 The most compact size comparing other 26650 thrower flashlights on the market currently. 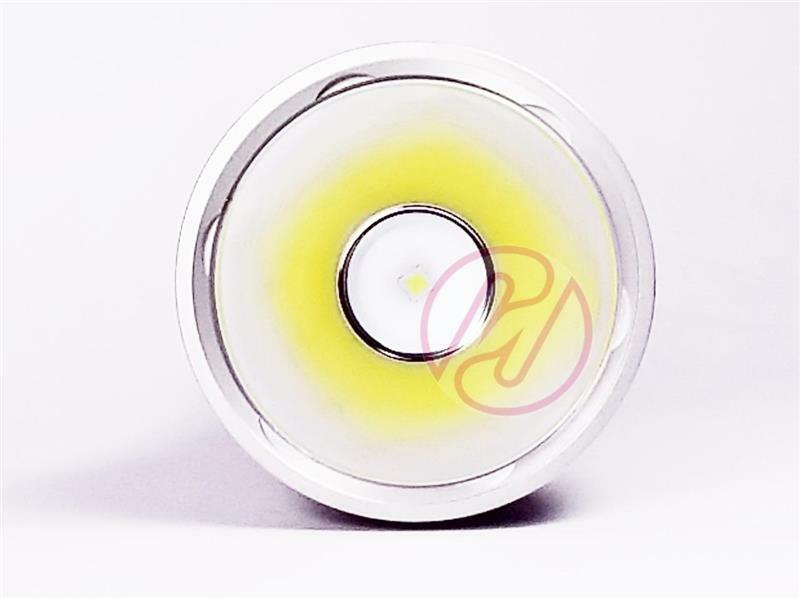 Smooth reflector for a high quality beam and throw. 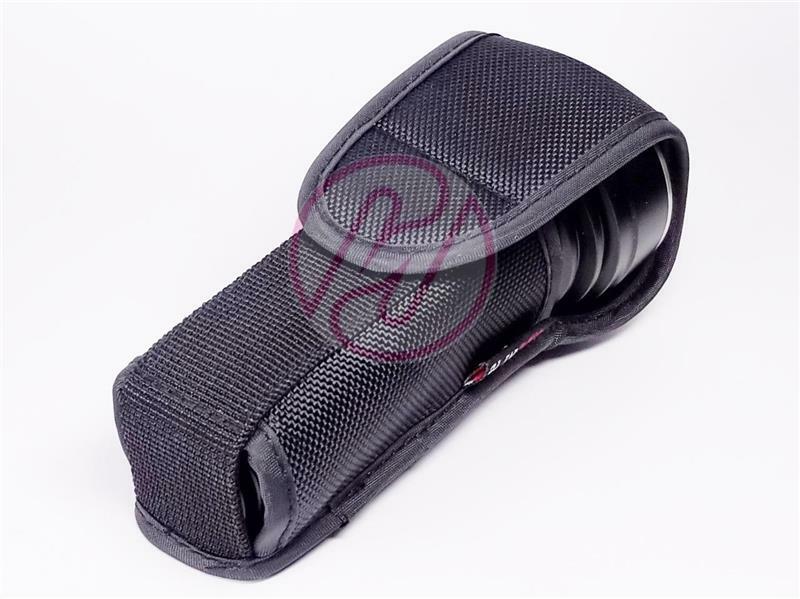 Reverse polarity protection designed to protect from improper battery installation. Copyright © 2013 hkequipment. All Rights Reserved.